Have you ever looked at a how-to list? In the age of Google, you can learn pretty much anything online you want to learn. 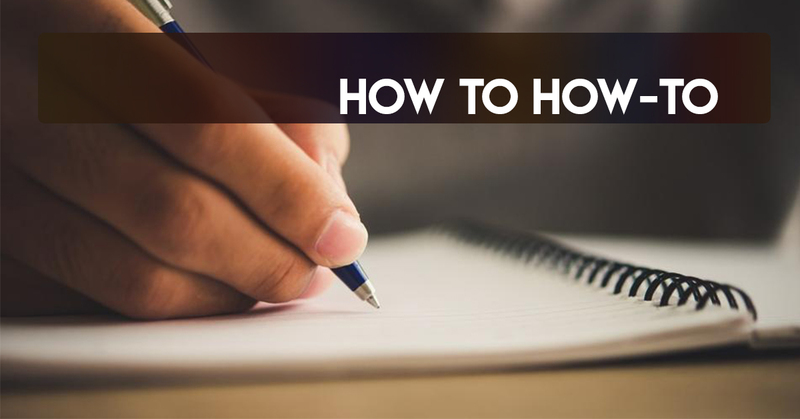 Even if you want to learn how to write a how-to list you can find it right here. Come Up with a Topic: You can write a how-to list about anything you want. It’s useful to have some experience on the topic, but not necessary. The less experience you have the more you will need to do research on the topic. Know Your Audience: Who are you writing for? It’s it someone that is completely foreign to the topic? Avoid using jargon, or at least explain any terminology. Lists are Better: Remember to make it a list of numbered steps. Keep it Simple: Perhaps you are a nuclear physicist and you want to make a how-to list about how to split an atom. If you can’t keep the list under 20 steps, perhaps you should consider if a how-to list is the most effective format for your instructions. Cite Your Sources: Remember to cite all of your sources. Even if you only read from a source, and don’t copy anything directly, you should still cite other work that.